Magazine perfection. It is the issue which sets the standards. Linda Evangelista poses for Patrick Demarchelier and is voted the #9 Greatest Magazines Cover of All Time, by the American Society of Magazine Editors. 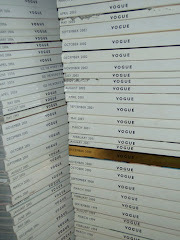 1992 marks the 125th birthday of Harper's Bazaar. Liz Tilberis debuts as editor with the September issue. ...Linda models for Gianfranco Ferre. Even some labels have even proved timeless.